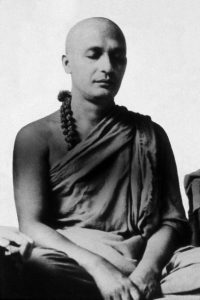 Yoga nidra (Sanskrit: योग निद्रा) or yogic sleep), meditation is a simple yet profound technique adapted by Swami Satyananda Saraswati from the traditional tantric esoteric traditions rooted in Hindu and Buddhist philosophy) and the practices of pratyahara (withdrawal of senses) and mental nyasa rituals (‘place’ efforts of relaxation on specific parts of the body). Yoga nidra was experienced by Satyananda Saraswati when he was living with his guru Sivananda Saraswati in Rishikesh. In yoga nidra the practitioner remains in a state of light withdrawal of the 5 senses (pratyahara) with four of his or her senses internalised, that is, withdrawn, and only the hearing still connects to the instructions. The yogic goal of both paths, deep relaxation (yoga nidra) and meditation are the same, a state of meditative consciousness called samadhi. During Yoga Nidra, we create deep relaxation for health, mental peace, and higher awareness and has been quoted to say that it is a practice of self mastery of the autonomic nervous system. We engage in simple breathing exercises to release tension and trigger the nervous system to induce a state of parasympathetic activation. This intention is something we wish to manifest in any area of our life or a quality we wish to cultivate and/or embody. For example, someone might want to manifest fearlessness, courage, inner peace, or fulfilment. The primary objective in this stage is to isolate the mind. The mind is focused, alert, and separated from external stimuli. We separate from the body, from the senses, and from their need for attention. 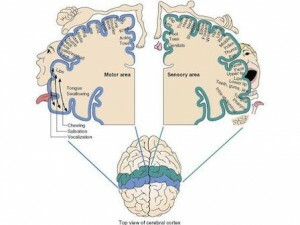 So we create command control over the sensory mechanisms of the physical body, specifically through exercises which deal with the mapping of the brain and opens the gate to the contents of the subconscious and unconscious levels of mind. The objective here is not only to enhance our ability to be aware and connected to our emotional responses, but also to work with the subtle body. We want to become mindful of the realms that lie beyond body and experience the pranic tide of breath without judgement. Our aim at this stage is to use the interaction of polarized emotional experience through a type of word association. We want to dissolve our attachment to emotional and conditional programming that lies hidden from conscious awareness in the subconscious mind. At this stage, we access and work with contents of the unconscious mind and samskaras which are our mental and emotional patterns, individual impressions, ideas, or actions. Together, our samskaras make up our programming. Here, guidance through a series of archetypal images or a guided visualization in form of a vivid journey will evoke responses in our relaxed mind. We cleanse and heal the mine field of deep-rooted conditioning. We revisit our intention (sankalpa) and plant it into the field of the unconscious mind. We then return awareness back to the body. Yoga Nidra takes us through a magical process of releasing the physical body, quieting the brain waves, moving towards a calm theta state. All abilities are welcome, you may be brand new to meditation, or have meditated for years and curious to experience another form of practice. 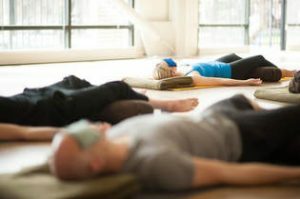 Yoga nidra meditation is offered in small groups to ensure a sense of comfort and ease. You will pre pay for 6 classes in advance (I am unable to offer a refund for any missed class, unless there are mitigating circumstances). If you are struggling to make one of the classes, but would appreciate the teachings and practice, perhaps consider gathering family and friends together and I can facilitate the meditation in the comfort of your own home (minimum 4 people). Enjoy the benefits of the practice on a day and time to suit you. Call me to organise.